First of all … What is a Digital Audit? 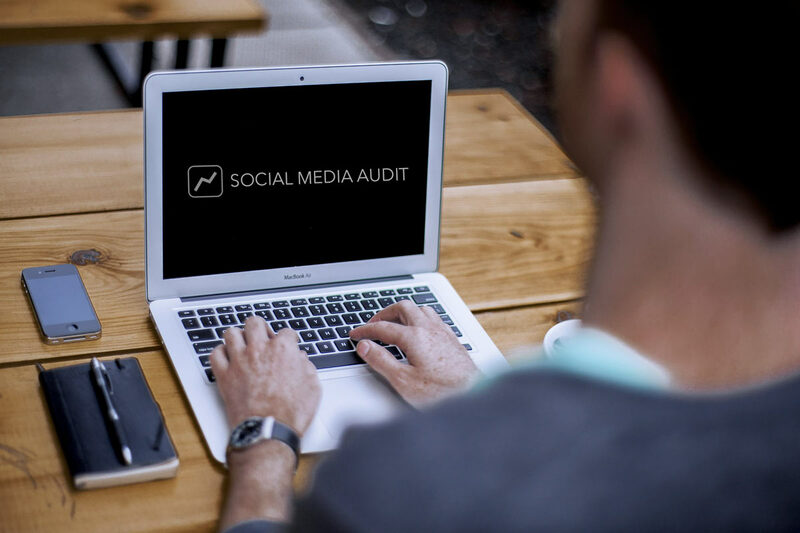 A digital audit is a report detailing your current standing in the digital space, usually including an analysis of your website and social media platforms. Think of it as a digital SWOT analysis of sorts. Why should I get my brand audited? 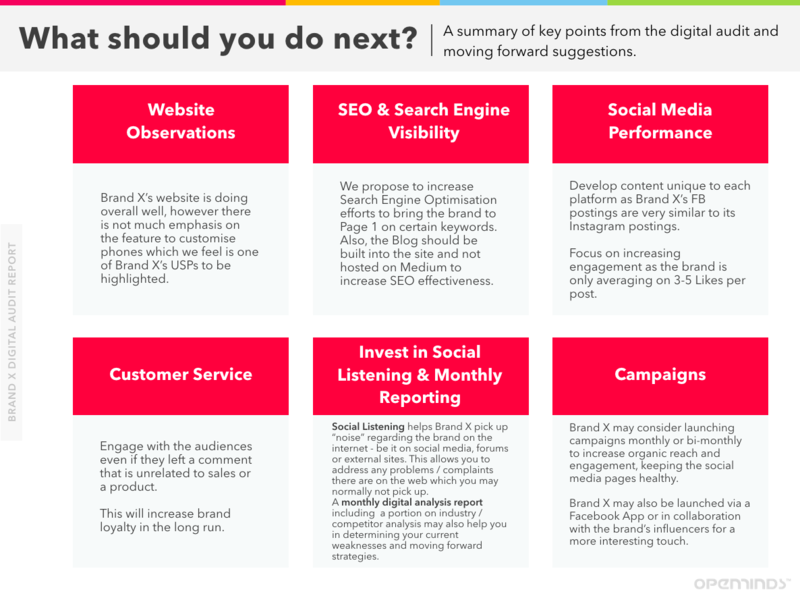 What should be included in a good Digital Audit? At this point you might be wondering what exactly should be included in a digital audit. It goes without saying that your competition matters. How they are doing – and how well you stack up against them matters. 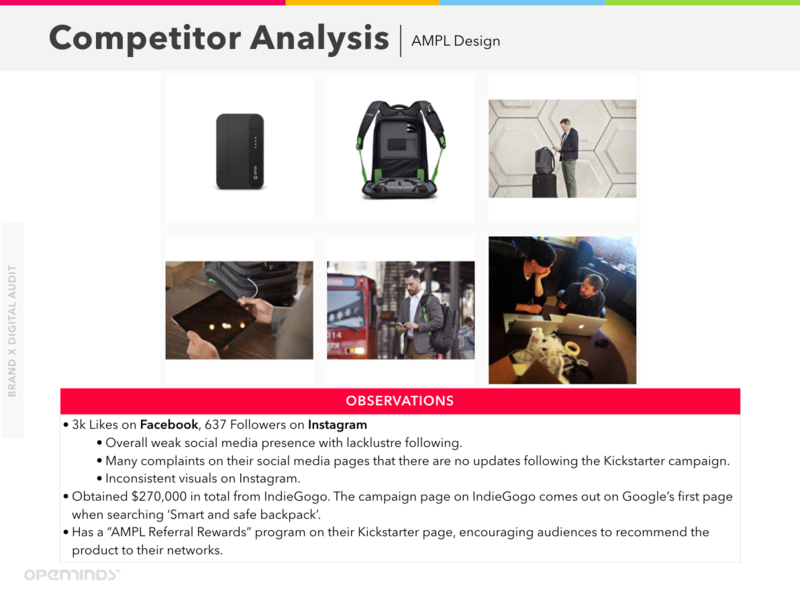 While it is not possible to extract in-depth data off your competitor’s social media or websites without the help of external paid tools, a good digital audit should include an overview of how your primary competitors are doing. Some basic details such as the health of your competitor’s social media platforms, their Search Engine performance and any notable campaigns should be included. 2. A look at the health and performance of your social channels. In this day and age, social media plays an increasingly important role in your online presence. Brands who are performing on social media have incredible potential to reach new markets and generate conversions. 😉 An effective digital audit should always include an analysis of your brand’s social media platforms. The audit will help you form conclusive action items for you to execute, including the discovery of potential new channels. For example, if you’re an interior designer, you may find Pinterest to be a platform worth hopping on. In some cases, you might find that a particular platform is not working for your brand and you might decide to focus your efforts on the platform that is actively generating conversions instead. 3. An analysis of your web presence. Whether you’re a startup, MNC or freelancer, chances are your website is your digital representation and storefront. A weak website will result in an increased drop-off rate and cause you to lose out on page views and potential leads. A good website should always be designed with the audience in mind; functionality and user experience is key. If for some reason your website is difficult to navigate, not mobile-friendly or not optimised for SEO, the audit will detect this and propose action items to improve your web presence. One of the common pitfalls of brands on digital is the failure to maintain consistency across all platforms. Consistency doesn’t only mean your logo or profile photo is the same across platforms; your tone of voice, visual direction and overall approach should be unified across all portals. This doesn’t mean you should duplicate content across your FB, Twitter and IG. You can – and should! – post different content across your platforms but it should not sound or look as if it’s a different brand across different portals. If your branding is not standardised it could not only confuse your audiences but also decrease brand recall and affect the effectiveness of your social media marketing. The audit will look into your content across all your digital portals, including your website, and determine if your brand is sending a unified message across. 5. Action items and moving-forward plan. An audit is simply incomplete without some pointers on what you should be doing to improve your digital presence. You don’t need to go into too much detail at this stage. From your findings so far, summarise and identify a few ways you can improve – it can be as big as a complete website revamp or as small as increasing your posting frequency on Facebook. Now you know what to expect from a good Digital Audit, are you inspired to produce your own audit report yet? If you don’t have the time on your hands to dive into this, our social media consultants will be happy help you out with our free OpenMinds™ Digital Audit. We’re passionate about growing brands and would love to hear from you!